Saturday to me is GRILL night- and this sounds like something I want to make tonight! Now be careful, this can get confusing, especially if you haven't had your coffee yet. 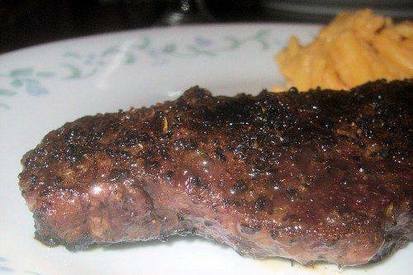 Brush each steak lightly with olive oil and cover both sides of steak with coffee rub. (approx. 1 tbsp. of rub per side). Cook steaks on BBQ to desired doneness.